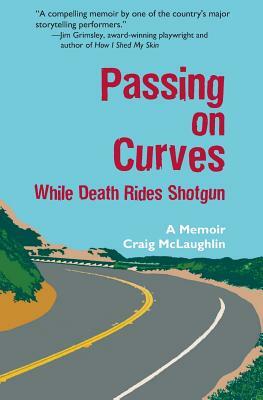 In gripping essays from his stage performances, Craig McLaughlin travels a road where death lurks around every turn. At birth, he almost bleeds to death because of hemophilia. Despite the odds, he survives to adolescence but finds himself living on an exotic animal farm where the humans can be more menacing than the tigers. As a young adult he contracts HIV from contaminated blood products, and later struggles to care for his wife with breast cancer while disease threatens to orphan their daughter. McLaughlin shows tremendous reverence for both life and death. Readers will fear for him, cheer for him, and marvel at his resilience and recovery from misfortune. Stories include: - Waking to find a jaguar slobbering over his ankle. - Being trapped in a pickup cab with an out-of-control chimpanzee. - Dreaming of a demon that forces him to confront his own death. - Gearing up for a gun battle with the Hells Angels. - Comforting the man his mother and stepfather kidnapped. - Being run over and nearly crippled by a llama. With formidable intuition, McLaughlin navigates blind curves to arrive at a destination rich with insight, compassion, and humor. Told with unflinching honesty, Passing on Curves is a memoir of inspirational courage.